Korea is a country (now countries, North and South) that has a long and fascinating history. 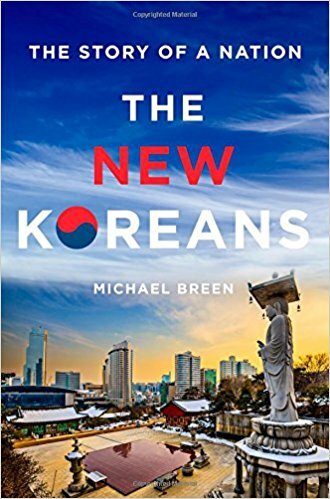 Michael Breen has lived and worked in Korea for decades as a writer, consultant, and correspondent for various organizations. His deep knowledge of the area comes from immersion and a lot of research. This book provides a wide overview of how the country has evolved overtime. With sections focused on the history of country (all about rulers, invasions, and the development of ideals that shaped society), how the country has built its wealth to quickly become an economic power, the politics and power struggles, and finally where the nation is headed, this book really delves into what has shaped the country. This is a very well informed book, and I was pleased with the depth each section went into. I’ve been learning about Korea and Korean culture for quite a while, and this really expanded what I already knew, and helped me understand the culture better. That being said, I don’t think this would be a particularly interesting book for someone who didn’t already have a basic understanding or interest in Korea. For me, this was perfect, but it’s not for everyone.